Moscow, March 1, Interfax - Patriarch Kirill of Moscow and All Russia condemns unbridled drive for "likes" practiced by users in social nets. “Today our social nets have a real disease when our young people are ready to do anything, sometimes even terrific things, to risk their lives, so that someone says that he likes it. 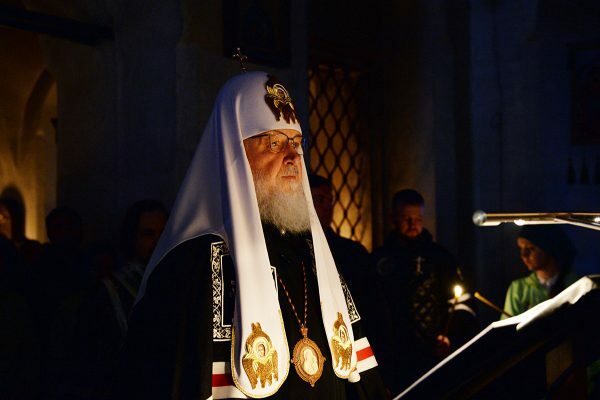 English word “like” is used to show such support,” the patriarch said after evening service at the Moscow Epiphany Cathedral. “Some young people have only one goal, to collect “likes,” if there are no “likes” they feel it like a personal tragedy,” he said. According to the patriarch, vanity is one of the sins that makes a person incredible sensible to other people’s praise and then his only goal in life are actions, words, deeds, aimed at winning people’s recognition. “The whole civilization is directed to help a person perceive these sinful images. To many people it is important from the point of obtaining money, others pursuit more dangerous goals, but it is a fact that there are almost no movies without an image that excite sinful thoughts,” the primate said.